PESHAWAR: Just a day after the federal authorities slapped a ban on the controversial film Maalik, the Khyber-Pakhtunkhwa (K-P) government said on Thursday it will not restrict anyone from screening it in the province. 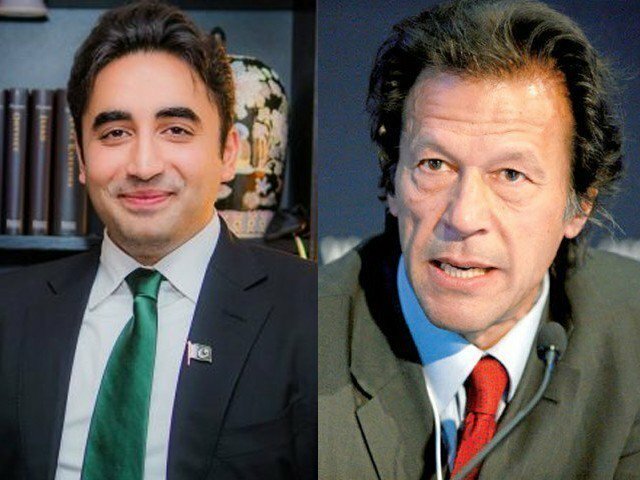 “This film is against corruption and we will not stop anyone if they want to exhibit the film in any cinema in the province,” K-P government spokesperson Mushtaq Ahmad Ghani said while talking to The Express Tribune. However, he was of the opinion that the government wouldn’t run the movie on its own but will not stop the cinemas from doing so either. It is pertinent to mention that K-P has no provincial censor board and all the movies exhibited in the cinemas are approved by the federal authority which makes it next to impossible for Maalik to be screened in theatres of the province. Commenting on the matter, federal censor board chairman Mubashir Khan said a large number of cinemas in K-P fall under cantonment area which restrict them to follow the Motion Picture Ordinance 1979. “Stern actions can be taken against cinemas that would run the banned movie [Maalik],” he told The Express Tribune. 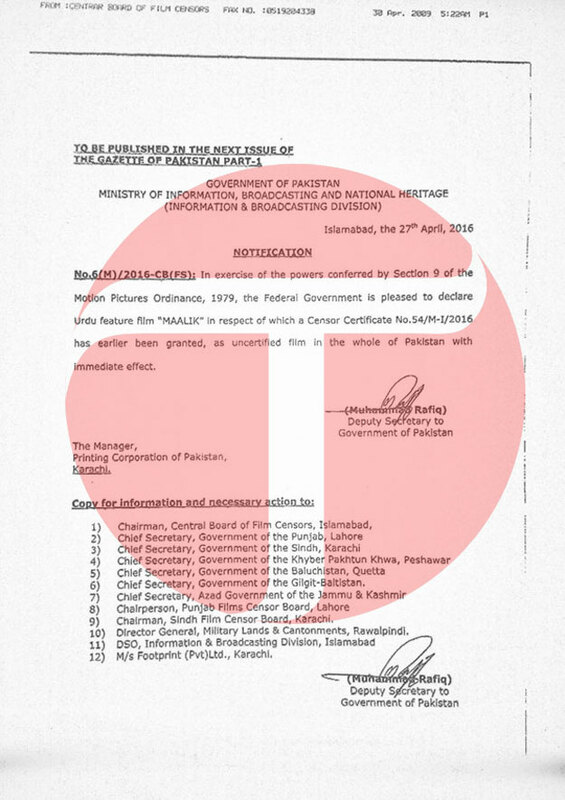 Three weeks after the Ashir Azeem directorial Maalik premiered at theatres across Pakistan, the federal information ministry had slapped a ban on the film on April 27. According to a notification, the Ministry of Information, Broadcasting, and National Heritage declared the film ‘uncertified’ according to Section 9 of the Motion Pictures Ordinance, 1979. “The information ministry reserves the right to ban any film at any time. 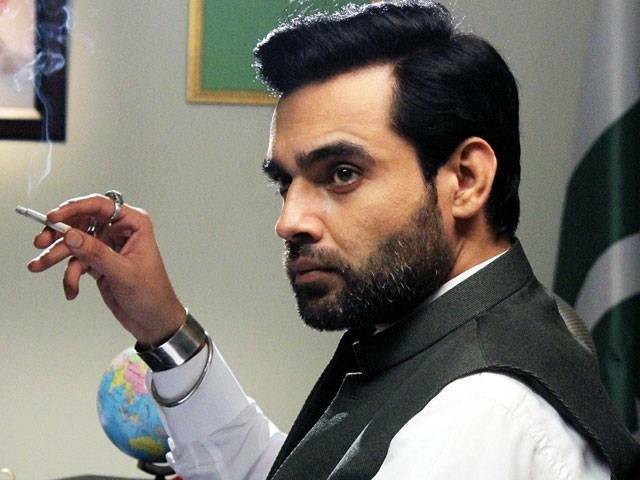 Maalik has been banned because it shows a former chief minister as a man of corruption and opulence,” a ministry official, requesting anonymity, told The Express Tribune. The film was in hot waters off late. 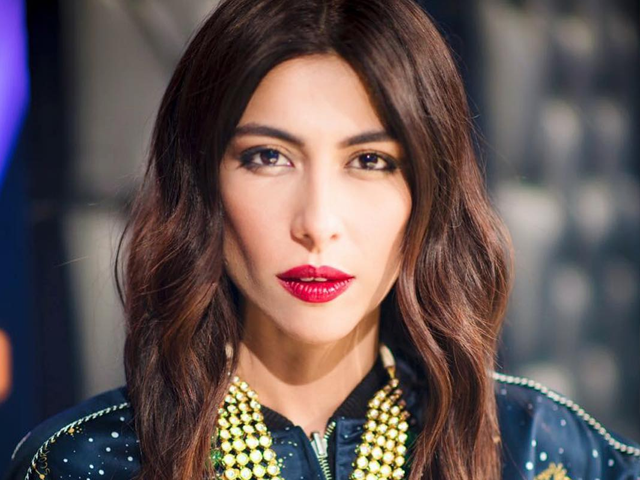 On April 26, it seemed its fate was sealed when the Sindh Board of Film Certification (SBFC) placed a three-month ban on it. However, the decision was reversed within a few hours of the announcement. According to a copy of the notification issued by the SBFC, the decision was taken after it was discovered that the film was playing in cinemas without excisions suggested by the board. One of the major talking points of the notification was how the word ‘CM’ was not censored as directed during the certification process. Govt. is wong in banning the movie and KPK Govt. is wrong in defying Federal Govt. but then KPK is led by IK so what do you expect?